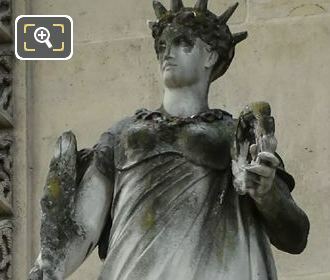 We were again at the Musee du Louvre in the 1st Arrondissement of Paris, when we took these high definition photos showing the statue called La Gloire, which was sculpted by Jean Jules Bernard Salmson and can be found on the Pavillon des Etats. 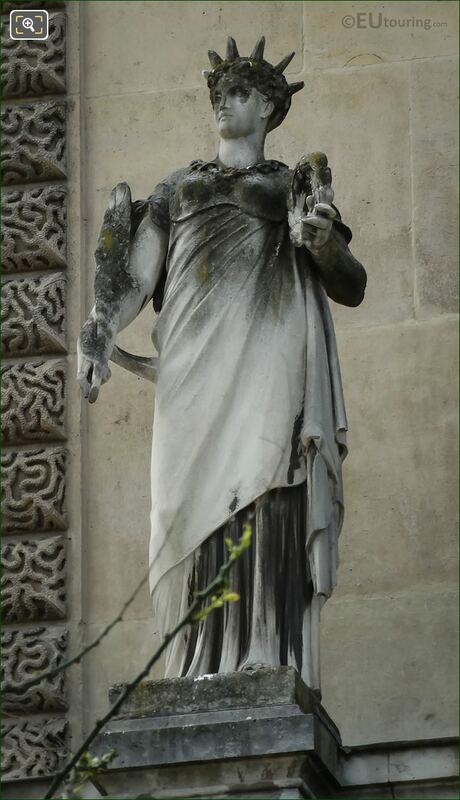 Now this first HD photo shows La Gloire statue, which in English translates to The Glory, and as you are looking at the Pavillon des Etats wing of the former Palais du Louvre from the Cour du Carrousel courtyard, you will see that this is the very first statue located on the first level balustrade. So The Glory statue was produced by Jean Jules Bernard Salmson who was born in Paris in the July of 1823, and the son of an engraver, he entered the Ecole des Beaux Arts, studying under Etienne Jules Ramey to become a French sculptor, first presenting works at the 1859 Paris Salon. 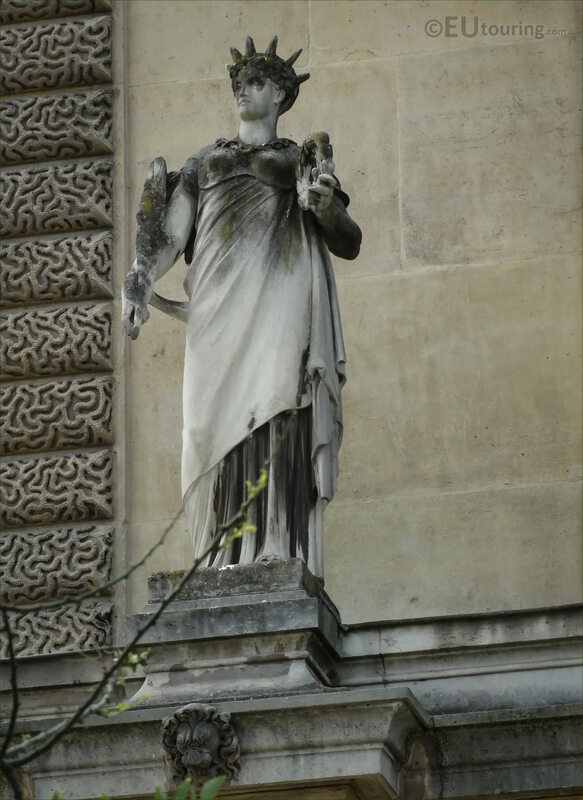 He then received numerous public commissions including La Gloire allegorical statue you can see in this image plus others for the Musee du Louvre, the Opera Garnier, the Palais de Justice, etc, although many of his sculptures are now held within different museums throughout France.